1970. 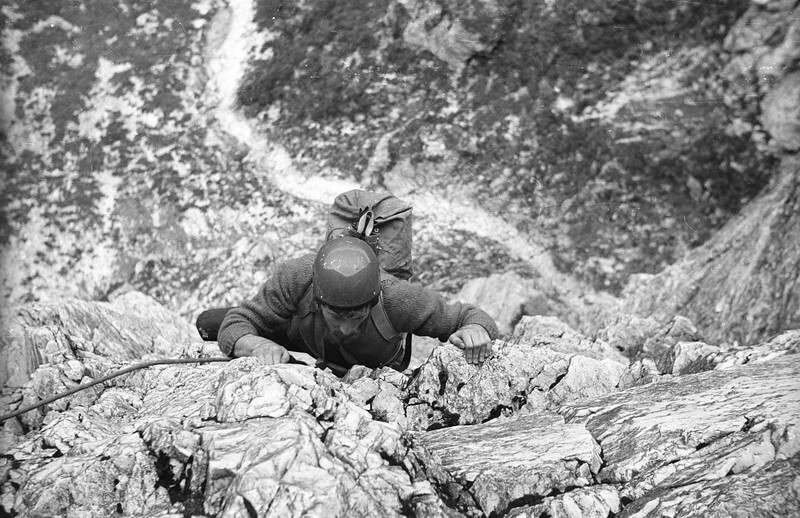 Gordon Talbett on an early repeat of The Sydney Route, one of the mighty classics on Tasmania's Frenchmans Cap. Originally known as "A toi la Gloire" (Thine is the Glory), the route is 320 metres long and is graded 16. Photo by Geoff Gledhill.